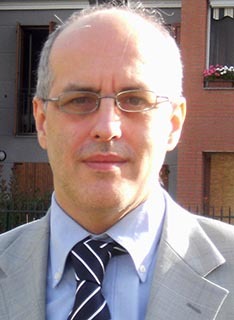 Stefano Biondi graduated from the University of Bologna with a degree in chemistry, and worked as a medicinal and pharmaceutical chemist for more than 20 years in the pharmaceutical and biotech industry, where he held senior positions in research and development. He has acquired experience in several therapeutic areas including anti-infectives, psychiatry, cardiovascular, pain, inflammation, ophthalmic disease, and metabolism. He is co-inventor on over 30 patents. I discovered IdeaConnection through the Nature website, and was interested in the concept of assembling a virtual team to solve problems. I am strongly convinced of the added value of project teams, and in my professional experience I have led and facilitated many of them. It is also a fun way to broaden your network. So far I have participated to 4 challenges, two of them in my direct area of expertise, and won one of them. The challenges to which I apply are usually difficult and require multidisciplinary contributions. I had no idea of the possible solution; the solution developed though a proper understanding of the problem, discussions around it, and inspiration derived from brainstorming sessions. Is that important, and if so, why? It is critical to the success of the team to have a common understanding of the problem and an open and constructive approach. How many ideas did the Team come up with before deciding to focus on one? The team produced about 6 different possible approaches to the problem, then narrowed them down by ranking the solutions according to a set of criteria consistent with the challenge constraints. There were several discussions and critical reviews before defining the final set. I was extremely happy and gratified at having contributed to the solution of a Challenge. I find it more satisfactory to share a success than achieving it on my own. A team of experts can generate and improve many more ideas than an individual working alone. In our case, we functioned as a real team, working together to achieve the best possible solution, without any internal competition. It is always exciting and a real learning experience. People with different experiences have different perceptions of problems and different ways of tackling them. In this specific instance there was no dominant person, though in other challenges on which I have worked on there were dominant personalities. In my experience situational leadership works better. I have learned a lot, interacted with many experts in different disciplines from all over the world, and expanded my network. I will definitely continue to work on new challenges, as it is an enjoyable experience, an opportunity to solve problems, and an opportunity to meet and get to know interesting people from all over the globe. The role of the facilitator is essential to the success of the team, with respect to keeping focused on the problem, allowing all phases of the project to be properly developed, enabling all participants to express their opinions, making sure that there is a common understanding of the problem at hand, and aligning the team towards the common goal. I am very satisfied and grateful for having experienced this opportunity.